The rest of the guests leave, whyyyyyyyy, can’t they stay the entire two weeks? Sniff, I’m going to miss them. 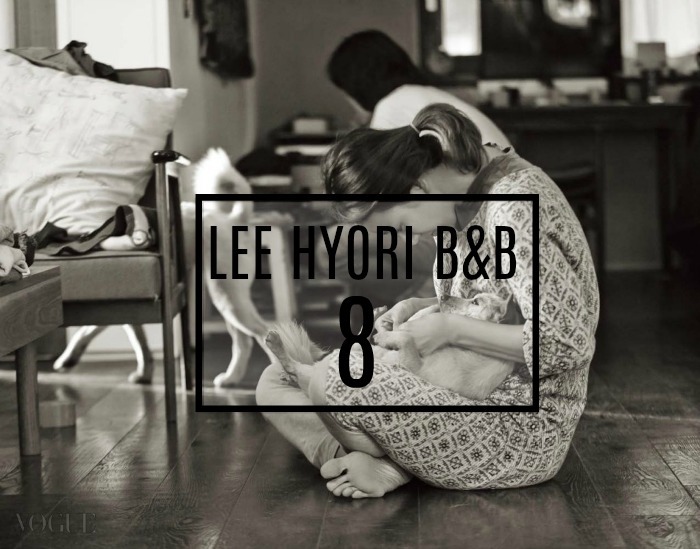 Episode 8 is all about me time with the three amigos of Hyori’s B&B. They looked so happy when they realized they could have a day to relax. But then at the end of the day they kind of missed having guests. 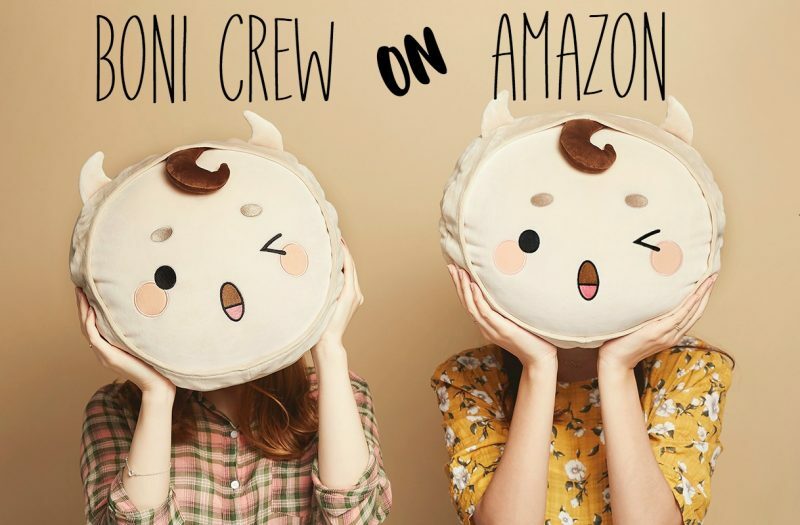 Aw, that is kind of cute. As per usual, this is a stream of conscious recap so we are just writing whatever we see. It might be wrong when we first write it, but then we might correct it later on in a paragraph when we realize what actually happened. The sentences are choppy, but the love it there! The recap is below, enjoy! A quick recap of the last episode showing everyone at the yoga class, the jajangmyun party, the walk outside, the ride back with Hyori and IU, the bonfire, and getting the taxi for the 5 friends. Ah, he woke up early to give 2 of the 5 girls rides to the airport, I guess they couldn’t find a taxi the night before. The explorers are awake, and Hyori is calling Sang-soon to find out where he is, but right when she calls he comes in and they share a very big back bending hug. Hyori looks so much happier now that he is back and yori takes a lot of photos of Samshik and Sang-soon and everyone all around the house. Everyone is still sleeping so she took sleeping photos of them. Afterward, they took photos of themselves having tea in the morning and only reemphasized my need to have their tea set. Their camera isn’t that shabby either. She shows her photos to some of the guests who are sharing tea and said she used to have a blog and she liked sharing her photos on it. She said she has her photos taken a lot by professionals but Sang-soon takes her photos the best. Then they show a lot of photos that Sang-soon took. Hyori thinks he takes her photo at times he thinks she looks prettiest, so they always come out good. The Explorers made tarot cards with Polaroids and gave them to Hyori as their gift. SHe mixes them and pulls one. Today’s card is a dinosaur footstep and the caption is “Courage and planning.” That is a really good idea. Hyori said she needs courage to be on TV again. The caption says another person needs courage (IU) because she is about to be late to work 2 days in a row. She rolls out of bed and walks to work, she is 5 minutes late and Hyori asks if she is an orange today because IU is wearing all orange. Today is Miss Orange Jeju (like a beauty pageant). Ji-un also does the tarot and it is the mountain with the swamp, “Obsession and Mixed-up.” Ji-un does not deny it, they all laugh. Sang-soon picks one as well – Hyori’s kimbap // Love and Friendship. He makes a disgusted face and everyone laughs. Ji-un is cutting carrots (orange is cutting orange). She is doing a thorough job of it. SHe also cuts onions and they dump it all in a bowl of eggs then they cook them. It looks like they might be making rolled eggs. Caption – Addictive carrot dance. Ji-un tries to roll the eggs and she does a pretty okay job. perhaps they should have added a little more oil (it’s a little brown) but it looks good. The only person still sleeping is Hwang-hae (the sickly one) so one of the friends went to wake him up. They use the changirum from the 3 siblings and make sanghae miyukgook. A few episodes ago the Halmae made rice wine (on the 4th day) and they are opening it today! So, they will have a pretty amazing Korean breakfast today with Makgoli (rice wine) as a happy send off to everyone. Yes, they are really drinking wine for breakfast. Everyone must be loving the food because it is super quiet as they all eat together. IU and Sang-soon are outside sitting because there isn’t enough space at the table. Sang-soon wonders if IU misses Seoul and Ji-un says she does not miss it at all. Sang-soon says, that even so, home is the best. Hyori is cleaning and they find an insole in Hwang-hae’s shoes. They start laughing and Sang-soon said don’t mention it to Hwang-hae, and then they start playing that sad music and show Hwang-hae. I am laughing so hard right now. So, the three owners/workers of Hyori B&B are outside chilling while everyone else is inside eating and they are planning what to do when the guests leave and when the new guests come. Hyori wants to get drunk, lol. They take their group polaroid pictures with the guests. Ji-un asks them if they like sweets and runs in to give them some. The Explorers leave first and everyone waves goodbye to them. Then Hyori, Oppa, and IU eat their breakfast. They say it is weird without the explorer tent, it’s empty. Then Hyori says she well eat at Ji-un’s speed and tries to eat very slowly with very little on her chopsticks. Hyori said IU never opens her mouth while she eats and IU laughs. IU said she doesn’t say anything and just eats because she has to eat quickly after she debuts so she can’t talk. Hyori said she was the same, but she ate fast because she wanted to talk more, but Ji-un spends all of her time eating. Yesterday Hyori told everyone about their rooftop balcony thingy, so the 4 friends go up there today. Hyori told Hwang-hae to not go up there because you need leg strength, lol. They are so tough on him. But Hwang-hae is more than capable of climbing the stairs to get to the rooftop balcony. Hyori says she can’t eat like IU anymore and gives up. She is not the type to eat so slowly. IU is so super slow eating, it is unreal. Everyone finishes and leaves the table and she is still eating. Now it is time for the 4 guy friends to leave so Hyori and Sang-soon sign a sweatshirt that Sang-soon gave them during the trip. Sang-soon said you have to stretch clothes when you sign them but Hyori wouldn’t know that and Hyori said she has done it many many different times, lol. Hyori tries on some shades and they say she looks like a cool bus driver and when Sang-soon tries them on Hyori says he looks like a dragonfly. But now it is time for everyone to pack up and leave so everyone takes photos with Hyori and Sang-soon and each other and they put their polaroids on the bulletin board. Hyori tells Hwang-hae to say goodbye to the cats so he goes back inside to say goodbye, lots of laughter is exchanged and the 4 guys leave. But before that, they are able to have one last laugh at Hwang-hae who is having a hard time rolling his luggage out, lol. Then the rest of the 5 girlfriends leave with lots of hugs all around. Montage of cleaning. The three are a great team, the caption says that they show great teamwork after working together for 7 days. They clean and wash everything and when they are done they take a well-needed break. And of course, IU gets her chocolate from the fridge to snack on. Everyone gathers around and shaves goshil’s hair. They give him a buzz cut and leave his tail like a cotton ball, lol. They said Goshil was the last to come to their house, he just showed up one day and didn’t leave. It looks like he is also the oldest of the dogs, she doesn’t want to take baths or anything like that. But this time they take her right to the shower and wash her off. Aw, this part looks so sweet. They go inside and Hyori thinks it’s weird that they don’t have any phone call from their customers yet. Hyori goes upstairs and Sang-soon is at his seat outside then they get a text that Sang-soon answers, No guests today! Sang-soon is giddy as he runs to the house and tells everyone that they don’t have any guests today. Everyone is so happy and excited. Iu wonders if they will sleep in their bed today and Sang-soon said tonight Hyori is dead, lol. Then he goes to look for Hyori. She is in their bedroom and Oppa tells Sang-soon that they should eat out and meet up with one of their friends. IU looks so happy that they can relax. Hyori is thinking that this means their business failed and Sang-soon says they can live paycheck-to-paycheck (day-to-day), lol. IU wants to go to the temple, Hyori wants to go to the 5-day market which is a Halmoni market. They like to buy a lot of things so they can support the market. This market is the oldest market in Jeju and opens every 5 days. It looks really big too. IU and Ji-un wear masks as they walk around, but even so, they look like themselves. Ji-un is also in like every single poster and calendar in the market. Hyori says people don’t recognize Ji-un and Ji-un said people don’t recognize her when she wears baggy clothes. Hyori says people recognize her. Iu says whatever Hyori does to her face she still has Hyori aura so people recognize her. They go to the temple next. Hyori really likes this temple and said she went here even before she moved here. All the famous temples are crowded with people, but this temple is nice and empty. (It looks like they might have also stopped traffic so they could walk to the temple). Sang-soon comes running up the hill to them and Hyori said he looks taller and more attractive with jeans. Sang-soon says, do you want to have wine with me tonight and Hyori says, go away, lol. Then Sang-soon says when they first went there Hyori hugged all the trees and Sang-soon was attracted to her after seeing that. He thought she really loved nature. But actually, Hyori said she really wanted to get some energy from the trees and someone told her that if you hug trees you could get their energy. Then they ask IU why she likes temples and IU says her Mom used to take her there a lot, so she likes them. Sang-soon says it used to be the same for him. His mom did 1000-day prayer for his brothers but didn’t do it for him because by the time it got to him his mom says 1000-day prayer doesn’t work if you don’t study. Haha. So true. They walked to the Temple and when they get there they buy some Chinese zodiac bracelets for everyone. Hyori said her older friend bought her and Sang-soon zodiac bracelets when they first went there and it was a very good time and special memory for them. then they talk about the walk up and how they feel old, haha. They have jokes for days. They tour the temple and it is so beautiful, oh my gosh. IU prays to the temple and Hyori and Sang-soon stay outside. Of course, they have jokes and say IU looks like a monk from India/Tibet with her clothes. IU finishes up and then Hyori and Sang-soon ask her how many times you’re supposed to bow. IU says 3 and a half times. Hyori tells her monks from India (maybe Tibet actually) wear those clothes, and IU laughs. They tell IU to cry in front of the temple with some music and they will take her photo. IU laughs some more. Then Hyori hits Sang-soon and says it was a mosquito and they laugh some more, but Hyori drools or something and Sang-soon says why are you drooling everywhere, you are a superstar. They keep laughing about that and start their walk back to the car. they laugh some more about some Chinese tourists they saw once, who were taking some cute selfies for like an hour and they practice taking funny/cute selfies as they walk back. Ji-un takes a perfect selfie with the back of the camera. They make it home to change and their dogs are super happy to see them. Hyori gives IU some clothes for tonight, a cute blue dress, and then she picks out something for herself. They change and talk behind the folding screen. Maybe the dress is too tight for IU? Oh, it isn’t, IU didn’t pull some part of the dress down fully so that is why it was tight. Hyori makes a joke about how she (Hyori) exposed her cleavage but it is gone. Hyori – Where are you my cleavage? Then Hyori does IU’s hair. This is a super girlie and adorable and only makes me want Hyori and Sang-soon to have a girl so they can play dress up. Hyori does IU’s hair in a very old-fashioned style, but the style is coming back now. Kind of like 80’s style in the US is coming back. Sang-soon asks if he should put on a jacket, but he says jacket in an old Japanese style, kadamae. now they say jacket in Korea, but sang-soon said Kadamae for fun. They are a fun couple. OMG, Sang-soon came out with some elbow pad shirt, lol. This section is pretty cool because it shows how they transform their look. Hyori puts on makeup and earrings and has transformed into a superstar. IU is looking at her like she is super cool, she says Hyori was eunnie, but now she is Lee Hyori sunbae-nim. They pick out their shoes and IU says she never expected to dress like this in Jeju. Hyori says she feels good to dress up. She looks so happy too. It looks like they are at their friend’s restaurant maybe? They are the only ones there. it is a really nice setup, kind of like a 5-meal fine dining experience. Oh, wait a minute, they have another customer there. That customer is pretty lucky. Maybe they are like whaaaaaaaat Hyori and IU? They eat into the night and Hyori tells IU to come to yoga with her in the morning. They have to wake up at 4:30 am to go to yoga. IU says okay. They keep eating and go home for the night. Oh, they finally get to sleep in their bed tonight. they said they didn’t know their bed was this comfortable. Hyori said she wants to see all the guests all of a sudden and she texts the explorers. Then they went to bed. Hyori wakes up and she and IU head off to yoga. Of course, they start to play yoga music and we hear the instructor talking with a zoomed-out view of the building. He sounds so intense. On the way back, Hyori says the yoga teacher is so cool and Iu said yeah. Then she said the yoga teacher talked about obsession and IU picked the obsession card yesterday. Hyori asked her what she is obsessed about and Ji-un said she is obsessed with mind tranquility. Hyori said she suppresses her feelings to not be too excited or something. IU said she doesn’t like to feel too excited. Hyori wonders why and Ji-un says it is because she feels like she lost control over her feelings. Hyori said she is opposite, her feelings go up and down easily. They are opposite, but they both are not maintaining their balance. IU wants to let it go. Hyori said she also wants more stability to not be too happy or too sad. IU wants the opposite, she wants to laugh more and to cry more. Hyori said it would be funny if IU behaved like her and if she behaved like IU. They laugh at that. Hyori said they are super opposites so if they are together they will have some synergistic balancing effect. Hyori thinks it is destiny that they met. OMG, lol, a cameraman is hiding in the backseat of the car. THAT IS SO HILARIOUS. Hyori wants to know what IU does if someone is crying next to her. IU said she is really sorry because she doesn’t cry. OMG, MAYBE THERE ARE TWO CAMERA MEN HIDING IN THE BACKSEAT. This is too funny. They continue talking about mental stability and all that stuff and yoga. Hyori said maybe Sang-soon doesn’t understand her because he is always stable, peaceful, and quiet. She guesses he is drinking coffee and listening to music right now. When they first dated she thought his emotions were all dried up and she was disappointed, but in retrospect, she said that every day was a big event or eventful or something like that. IU said Sang-soon likes her a lot. He told her that he doesn’t care how he looks to other people, he just wants to be good to Hyori. Hyori said she will show him some love tonight. IU wonders if they will have guests and IU says yeah. They are looking forward to seeing the new guests and IU goes to her room to change. Hyori goes home and gives Sang-soon a big kiss and says, “My love.” She says after the morning session she loves him more now. She tells him to enjoy this moment because she could become dark again. They pop out their tea set and Hyori tells Sang-soon that she learned a lot about Ji-un. Hyori wants Ji-un to yell at them, lol. To laugh a lot and cry a lot and get angry at them, lol. Sang-soon just laughs. he says he was going to get upset at her because she works so hard. he wants to yell at her to take a break and Hyori said Ji-un won’t cry, she will just look like this (puppy dog face). They keep talking about Ji-un. They want her to let her feelings out. Then they start talking about themselves and Hyori wants to know if Sang-soon ever gets super happy or super sad. Sang-soon said he has nothing to be sad about (because they have a lot of money). They laugh a lot. He said he hasn’t had any sad moments but then he also said he didn’t have any really happy moments, lol. Hyori said she will try hard for him to keep this feeling. Ji-un comes back to the B&B with her super relaxed clothes and says hi to everyone. Hyori wants to know what she wants for breakfast. It looks like they are going to make a seafood salad? IU is a little unsure as to how to make it, but it looks like it came out okay. They sit down for a nice relaxing breakfast with the salad and super spicy gaejang (crab). They also chew on some Jeju spring onion and Iu has a hard time biting into it, lol. They have a good laugh about that. Hyori tells her you only eat the stem, not the top part. She is still having a hard time, lol. The song is all like “Not this…this is not it…” Now Hyori is having a hard time, lol, they decide to cut it. Haha, this part is so funny. Hyori tells Ji-un to eat it with the spicy soup but Ji-un uses the fish soup and they play the song again, “Not this…this is not it” and a ninja Yoda camera is moving on the window as they eat, lol. This part is so funny. I feel like they can have a show of only them eating. Even the cats are having a good time with their toy. They eat dessert outside by the studio and Hyori humans also need something like that, but then she thinks that alcohol may be something like that. Then she says she will show IU “Umma where are you” show. Hyori goes to hide and Sang-soon says to Soon-shim, “Where is Umma?” Soon-shim and Mocha go to look for Umma. Soon-shim smells where Hyori is and Mocha goes to look for her in the bedroom. Then soon-shim goes and gets the other dogs and tells them to go play with Umma. Mocha is having the hardest time finding Hyori, lol. This is a pretty fun game. They spend the rest of the evening relaxing. Sang-soon kills a lot of flies. They are super bored. IU takes a nap. Sang-soon tells her she can take a nap in the studio and they will wake her up when the guests come. Hyori does a cute PinKle move and says her neck is always at an angle because she always had to stand or sit like that, lol. They said Ji-un must have been pretty tired and then they wonder when the guests will come. It looks like it is a couple. They have kids and they are talking about how they haven’t been out with just the two of them together in two years. The woman guests want to drink and play with the other guests. Finally, Sang-soon gets a message that some guests are coming. The guests are super excited. Hyori said they sound like a cute couple. Another text message. Maybe something is wrong? Sang-soon thinks something is weird. Ah, they have two people coming in today. A solo woman traveler. They get to know the young couple. The couple has a fun time in their room bathing/relaxing and Hyori and Sang-soon look like they are reminded of themselves. The girl is 25 years old and it looks like she and IU get along well. But it’s raining and Sang-soon doesn’t look happy, uh oh, we gone have some little drama in the next episode. But it doesn’t’ look like guest drama, maybe more circumstance drama, like with the rain? Hello, Will you be recaping for upcoming SBS drama ‘While You Were Sleeping’? It will premiere on September 27th. Waiting for your response. Thank you. Unfortunately our schedule won’t work with While You Were Sleeping. We are a little busy over here until mid-late October. But we are looking for a drama to recap that will start at the end of October or in November. If you have any suggestions then please let us know! What is the song around minute 7 and on from this episode. The song is in English. And the lyrics are something like, “We can spend the day here just you and me..”.. I checked but I didn’t hear this song. Is it before the tarot cards or after? I watched up until IU wakes up and goes to work which was at 10 minutes on On Demand Korea.